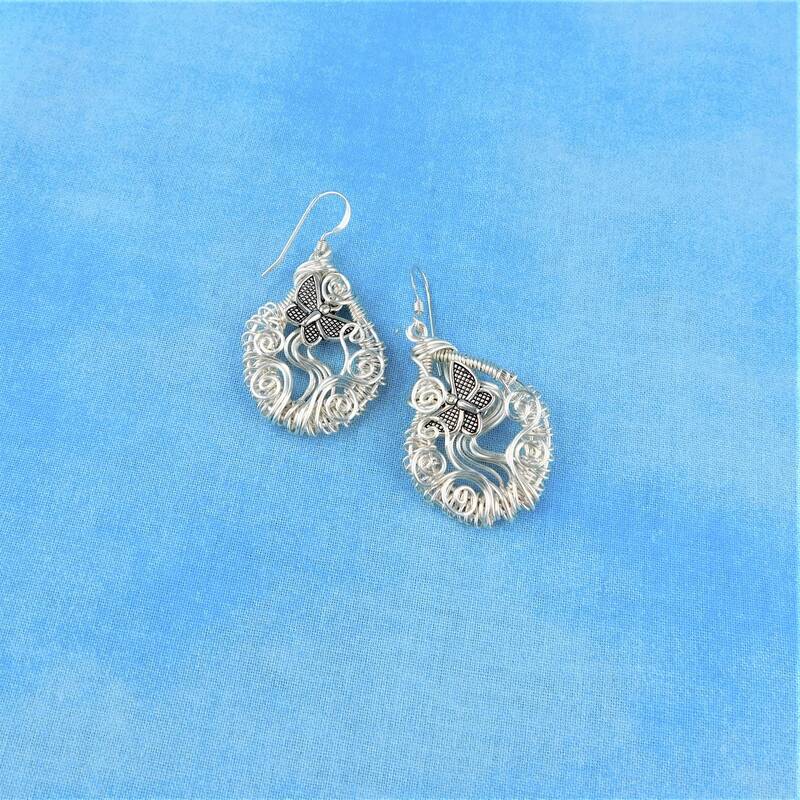 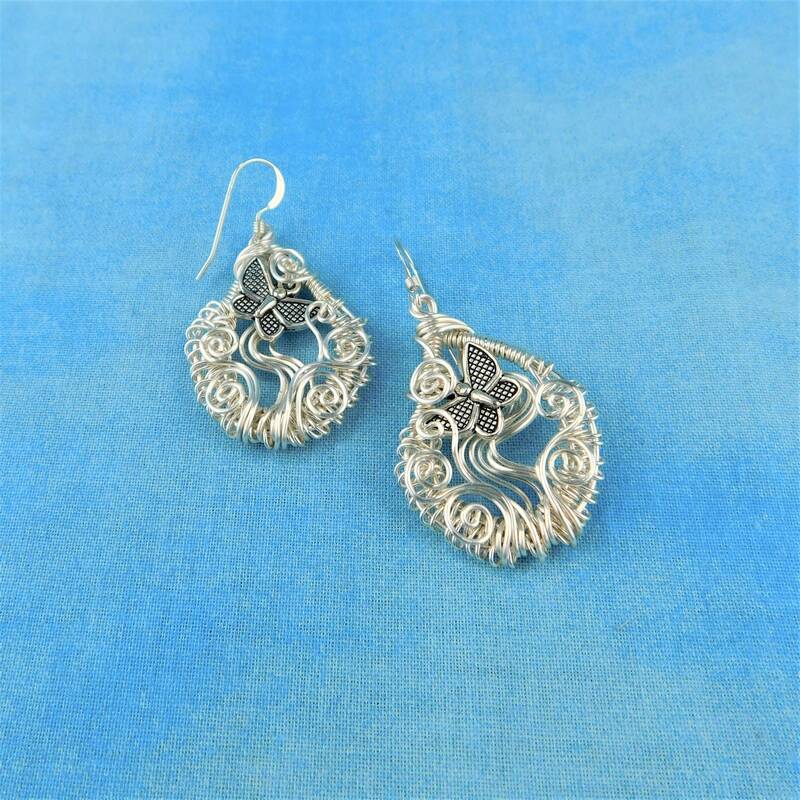 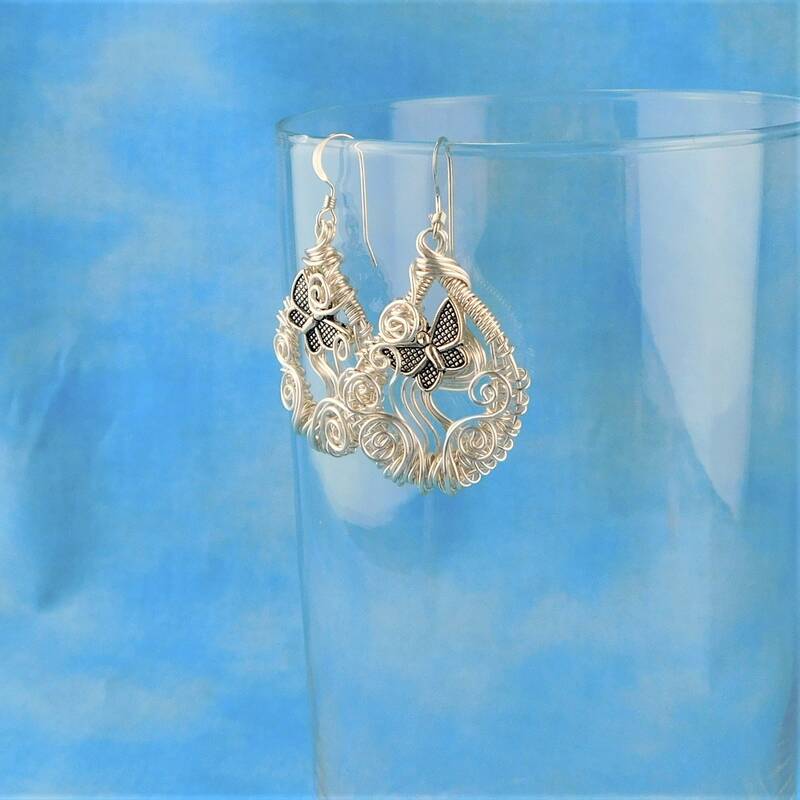 Non tarnish fine silver over copper wire is meticulously woven into 1 1/2 inch wreaths framing silver metal butterflies with wire sculpted vines and embellishments. 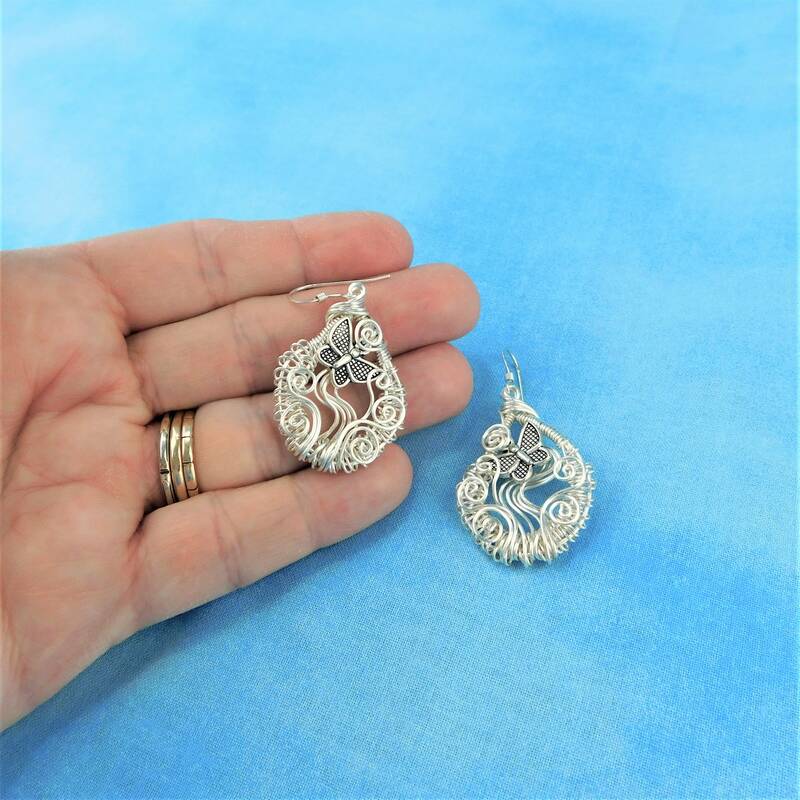 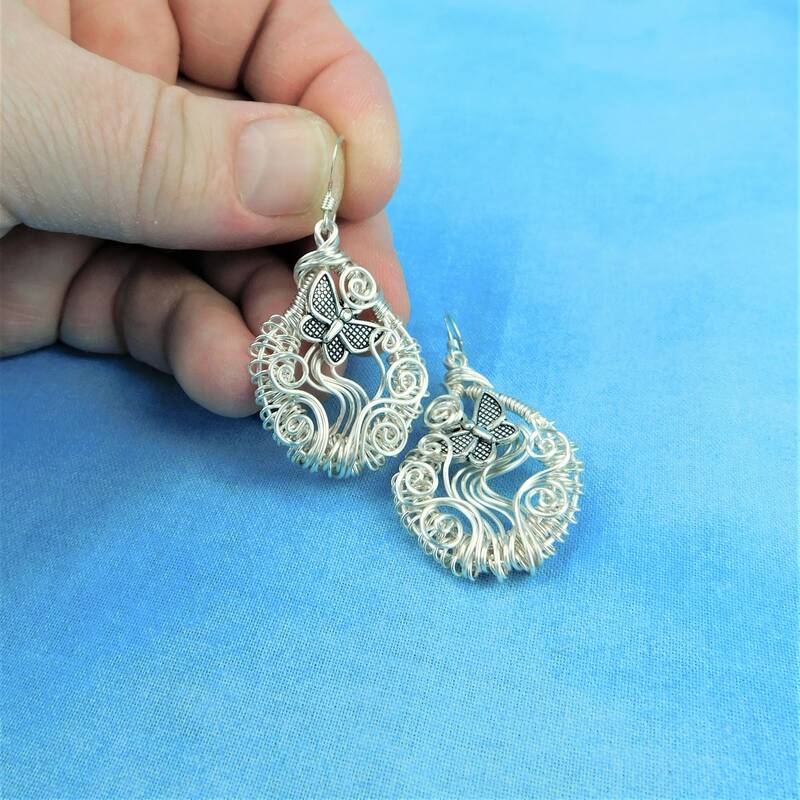 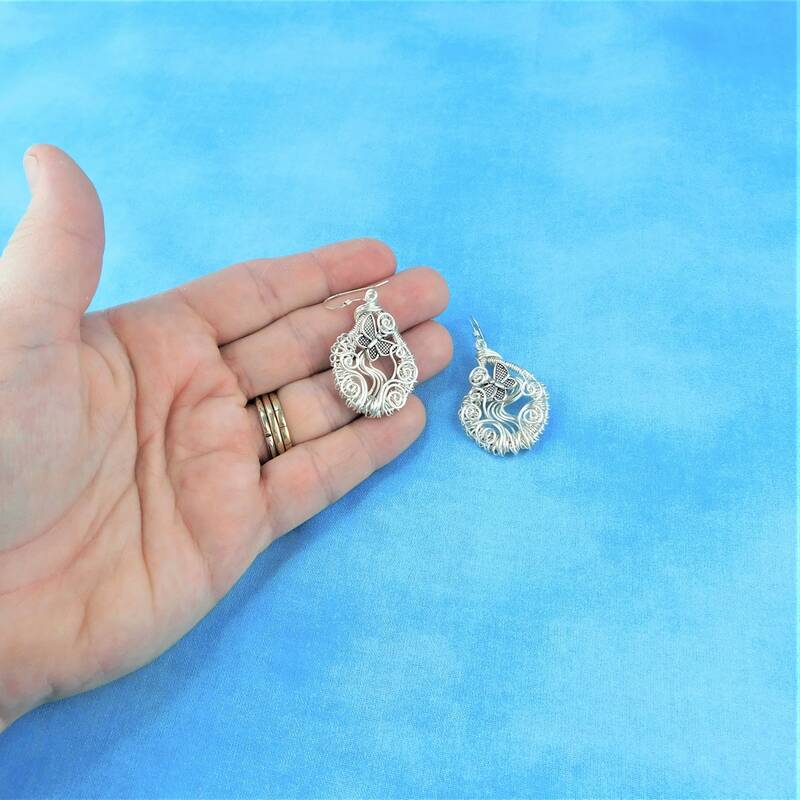 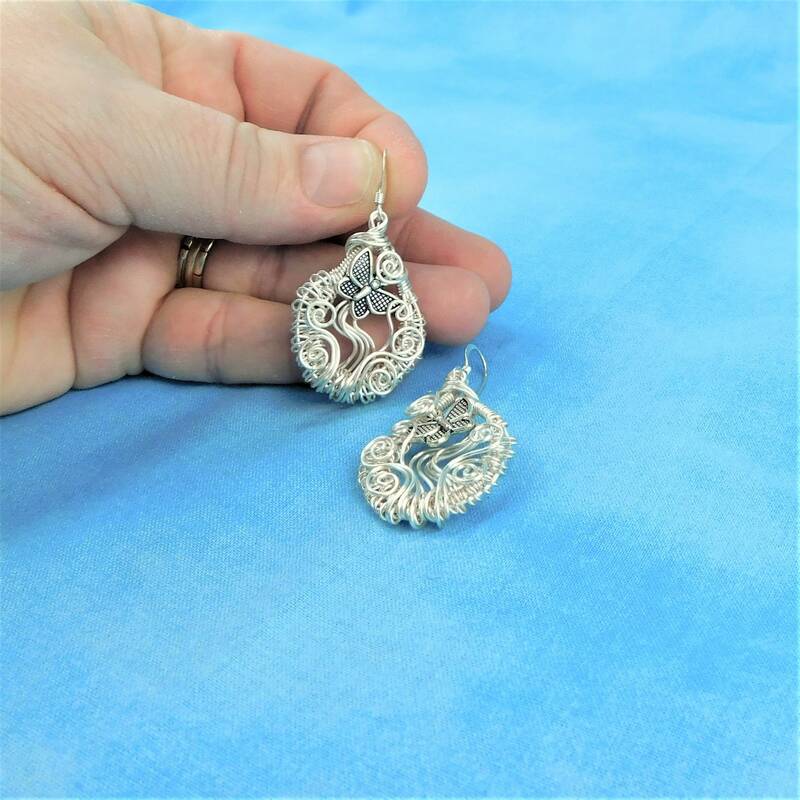 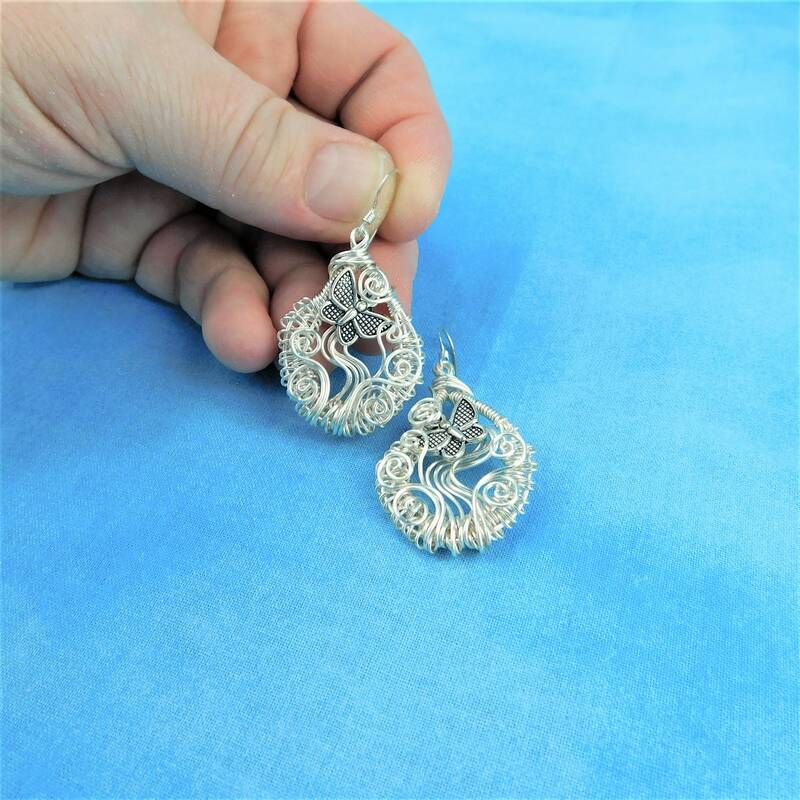 These unique handmade earrings are classically appealing and will never go out of style. 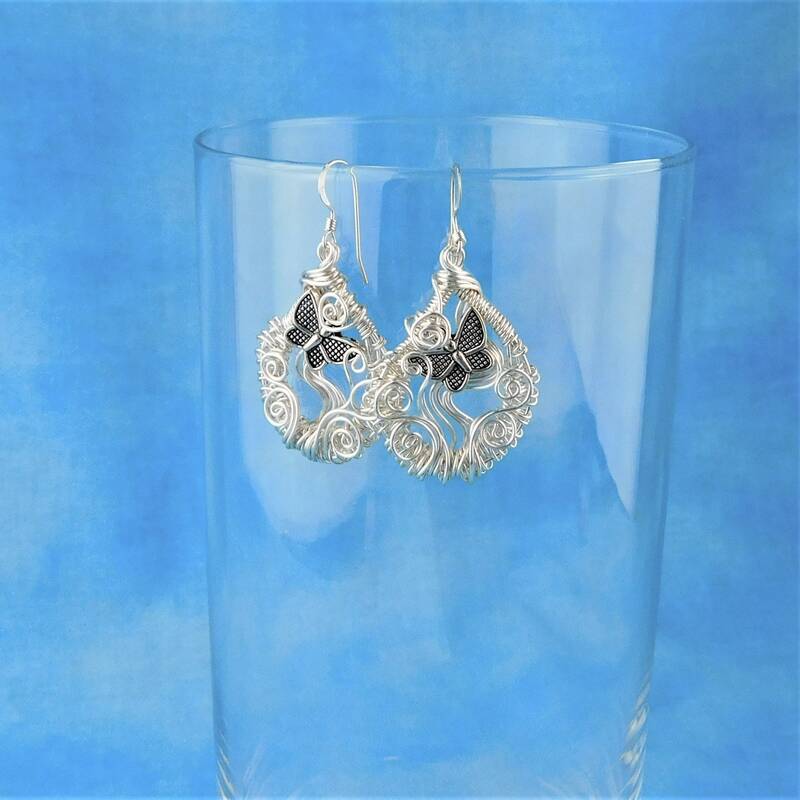 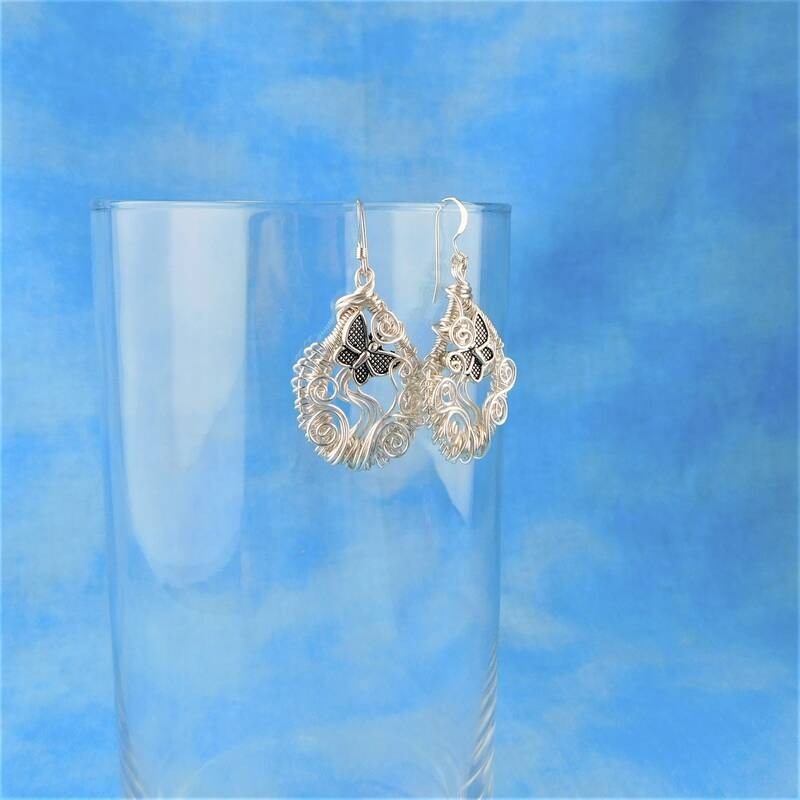 The earrings hang 1 1/2 inches from sterling silver ear wires.